TV Buzz is a TV show on Australian national television from Seven with an average rating of 3.5 stars by TVCatchUpAustralia.com's visitors. We have 218 episodes of TV Buzz in our archive. The first episode of TV Buzz was broadcast in April, 2018. Did you miss an episode of TV Buzz but don't you wan't that to happen in the future? Please set an alarm and add TV Buzz to your favourites, so we can remind you by email when there's a new episode available to watch. Completely free: handy! Is Ubiquitous Realty the worst real estate agency in Australia? The Mentor is here after the Commonwealth Games on Seven. 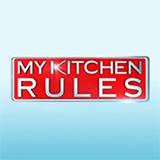 The most explosive 'My Kitchen Rules' episodes of the year are here! The most explosive 'My Kitchen Rules' episodes of the year are here! of TV Buzz was broadcast by Seven on Tuesday 24 April 2018 at 9:49. All new 'Modern Family' coming soon to 7 of TV Buzz was broadcast by Seven on Monday 23 April 2018 at 14:39. Kim runs a flower shop and she's running out of money fast! But asking for help and accepting it are two different things. The Mentor starts tonight 9pm on Seven. Anderson is now in Los Angeles with husband Howard Moggs. The most explosive week of My Kitchen Rules starts Sunday, April 15. Which occupation will sweep the nation? Which occupation will sweep the nation? of TV Buzz was broadcast by Seven on Friday 20 April 2018 at 12:46. Get ready Australia… L.L.B. IS BACK! New House Rules starts after the Commonwealth Games.